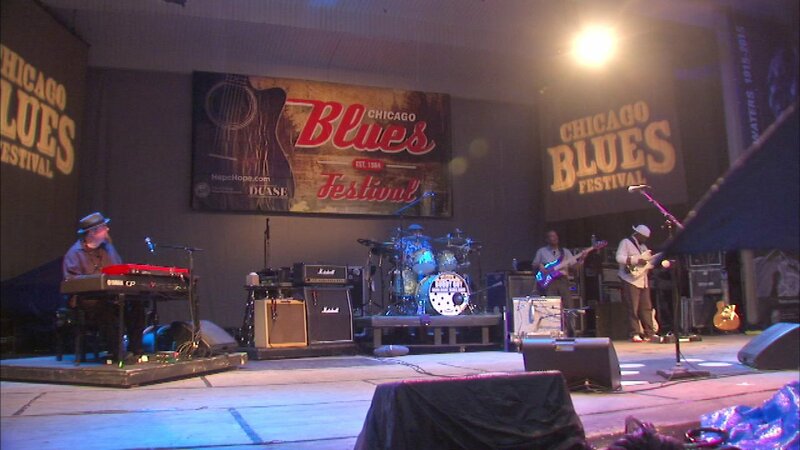 FILE: Buddy Guy plays at Chicago Blues Fest in 2015. CHICAGO (WLS) -- A museum celebrating Chicago's blues history, called the Chicago Blues Museum will open in the Loop in 2019. Crain's Chicago Business reports that a lease will be signed late Monday for a 50,000 square foot space at 25 East Washington Street in downtown Chicago near Millennium Park. The building is owned by Trump Group, a real estate group based in Florida that is not affiliated with President Donald Trump. Crain's reports the museum will have a grand entrance at street level, then three subterranean levels. It will also feature a lounge that can accommodate 150, that will feature nightly live blues music by a house band and a small plates menu. The Chicago Blues Experience, a group chaired by famed blues musician Buddy Guy and responsible for Chicago's annual Blues Festival, is currently raising equity capital for the project, which is slated to open in 2019. Helping to advise the project are Terry Stewart, a former president of the Rock and Roll Hall of Fame, and Bob Santelli, executive director of the Grammy Museum in Los Angeles. Mayor Rahm Emanuel released a statement praising the new museum: "Chicago is the birthplace of urban blues and the perfect home for the new Blues Experience museum. Every year, the iconic Chicago Blues Festival celebrates our rich cultural legacy and attracts hundreds of thousands of visitors to hear the finest blues acts in the world. The museum will pay further tribute to the home-grown genre that's given life to legends like Buddy Guy, Muddy Waters, Howlin' Wolf, Willie Dixon, and so many more. Chicago is proud to host the Blues Experience that will help visitors from around the world connect with one of America's greatest art forms."